In Shakespeare’s “The Tempest” there are a great deal of power struggles between the characters before they met on this island and after the terrible storm. This is a topic suggestion on The Tempest from Paper Masters. Use this topic or order a custom research paper, written exactly how you need it to be. When men and women are thrust into a harrowing situation they are often met with struggles for power. Everybody has an opinion and many are looking to lead the way to a better future. In Shakespeare’s “The Tempest” there are a great deal of power struggles. There were even power struggles between these characters before they met on this island after the terrible storm. 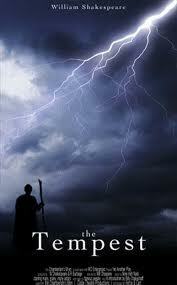 In fact, a power struggle more or less lead to the creation of the storm. In this paper I’ll be examining several of the power struggles taking place in the story. It will become clear that each of the ensuing power struggles were orchestrated by one man, Prospero. He is the rightful Duke of Milan and was banished to this island in a power struggle in Italy over his Title. However, since living with Nature on this island he has learned to control the spirits who live on the island and control the weather among other things. He wants to test the other characters and make them reveal their true selves. He devises the plan to shipwreck his former nemesises and land them on his island. This is where Shakespeare’s story begins. Alonso, the King of Naples, and his men are forced to land on an island in the Mediterranean because of a terrible storm at sea. Once the main players have safely made it ashore one of the play’s central power struggles begins to take place. Alonso’s men have been put to sleep by the songs sung by Ariel, the spirit. All except Antonio and Sebastian, who Prospero wants to stay awake because he knows they are likely to hatch a plot to overthrow Alonso. Antonio discusses the possibility that the King’s son has been drowned and Sebastian should be the next King, “Thus, sir / Although this lord of weak remembrance, this / Who shall be of as little memory / When he is earthed, hath here almost persuaded – / For he’s a spirit of persuasion-the King son’s alive / ’Tis as impossible that he’s undrowned / As he that sleeps here swims”. Antonio and Sebastian and the rest of the crew go on to believe that the King’s son, Ferdinand, is dead. Prospero has created this illusion because at the moment that Antonio and Sebastian are having this conversation; Ferdinand is falling in love with Prospero’s daughter on another part of the island. Paper Masters writes custom research papers on The Tempest and look at the different power struggles taking place throughout the story.